Is there a good time of year or season to pour concrete for a patio, path, or some other outdoor project? Like anything, there are variables. If the region in which you live has a mild, year-round climate, then it's probably safe to pour it pretty much any time of year. However, if you live in an area that experiences extremes in temperature—one way or the other—then spring or fall are probably better times of the year. You know where you live and the weather conditions that can occur during these months. Has it been known to dip below 50 degrees in April or May? Likewise, in October or November? If you can't recall just how unpredictable the weather can be or are new to a region, consult the trustworthy Farmer's Almanac, a weather website, or a local newspaper or community website. You might also want to check with the contractor's license board website for your state or region.Temperature extremes make it difficult to pour—or cast—and properly cure concrete. On hot days, too much water is lost by evaporation from newly placed concrete. If the temperature drops too close to freezing, hydration slows to nearly a standstill. Under these conditions, concrete ceases to gain strength. In general, the temperature of new concrete should not be allowed to fall below 50 Fahrenheit during the curing period. This information holds true for do-it-yourself projects and for those built by and for those built by professional contractors and construction crews. The Concrete Network provides information on the best times in the United States to pour concrete, including adjustments that will have to be made for each season. The midwestern states are characterized by cold winters with snow, short springs, cool autumns, and hot, humid summers. So, is there a good season to cast concrete? Fall in the Midwest offers the lowest humidity and most stable temperatures for casting concrete for outdoor projects like patios, driveways, and paths. While it might be a challenge to find a pro to pour a major outdoor project for you within a few weeks before winter, you can probably complete a smaller do-it-yourself project on your own within this time period, before November frosts. Does it always rain in the Pacific Northwest? During the months of September through November in Oregon, Washington, and Idaho, temperatures are cool but experience the least amount of rainfall compared to the other months. Because autumn offers dryer days, this is the best time for casting concrete. Consisting of the states Colorado, Wyoming, Utah, and Montana, this region experiences summers that are mild to cool, with low humidity. 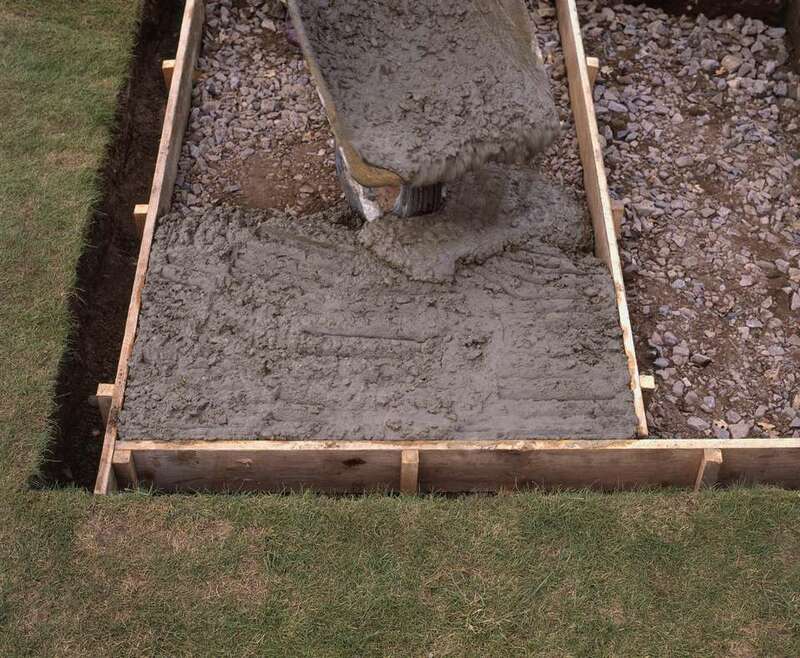 While thunderstorms can occur in the late afternoon, it's a safe bet to schedule or embark on a DIY concrete-pouring project in the morning hours of June through August. This area includes the coastal plains, inland high deserts and the states of California, Arizona, New Mexico, Nevada. Not surprisingly, the mild climates along the coast differ greatly from the inland deserts, with more extremes in temperature. Unlike the rest of the U.S., you can pour concrete in these states pretty much year round, give or take spells of rain or extreme heat. Still, the more reliable seasons are winter and spring, when temperatures are relatively mild. Fall in some of these states is simply an extended summer, and some regions experience the hottest temperatures of the year in September and early October. In the states of Oklahoma, Texas, Arkansas, and Tennessee, the hot temperatures and humidity of summer can be the most demanding time of year to pour exterior concrete. Still, relatively cool temperatures permit year-round pouring of outdoor concrete projects. Fall can continue to be hot in this region, along with high humidity and the threat of hurricanes. Mild winters make this the best time of year to work on concrete patio projects. With cold winters that bring snow, summer and early fall can be the best seasons to cast concrete in the states of Pennsylvania, Ohio, Indiana, Michigan, West Virginia, Delaware, Maryland, Virginia, Kentucky. Since this region experiences all four seasons, summer and early fall bring the most stable weather conditions of the year for pouring concrete.